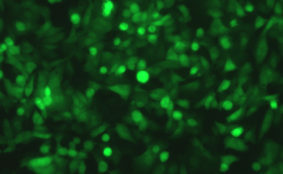 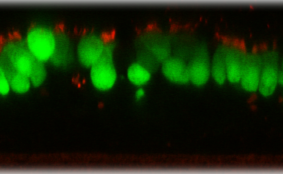 DESCRIPTION: For the construction of RSV-GFP1, GFP (Green Lantern Protein, Life Technologies) was engineered to be flanked by RSV gene start and gene end sequences and was inserted as the first, promoter-proximal gene in a full-length cDNA of the wild-type RSV strain A2 antigenomic RNA. RSV-GFP1 was rescued by cotransfecting HEp-2 cells with the antigenomic plasmid and N, P, M2-1, and L support plasmids and infecting them with a modified vaccinia virus, MVA-T7, expressing T7 RNA polymerase. 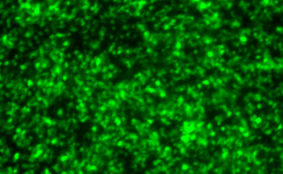 Rescued virus was amplified in HEp-2 cells, aliquoted and stored at −80°C. 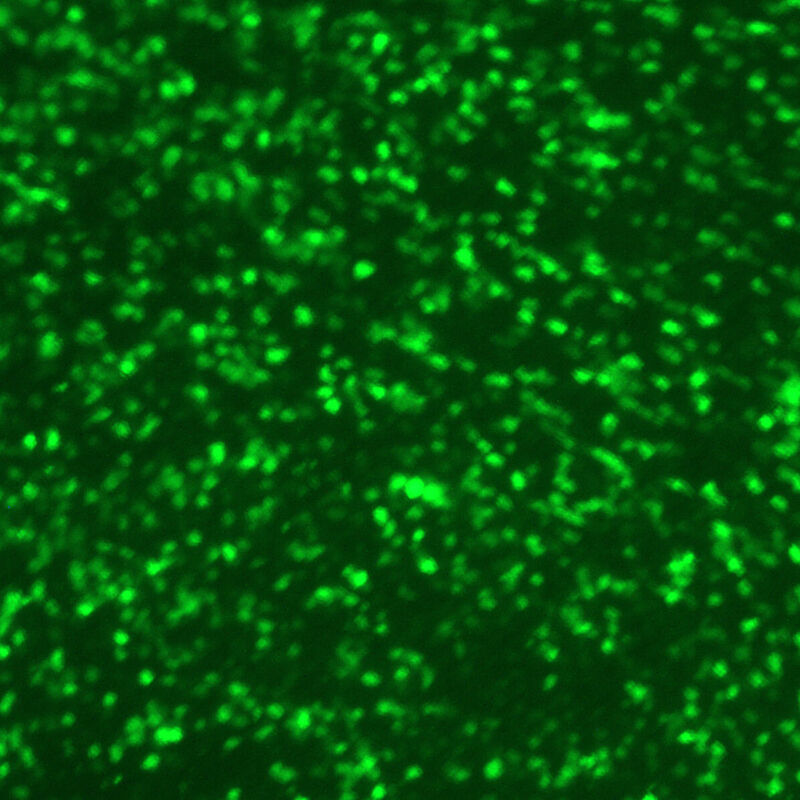 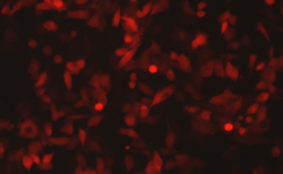 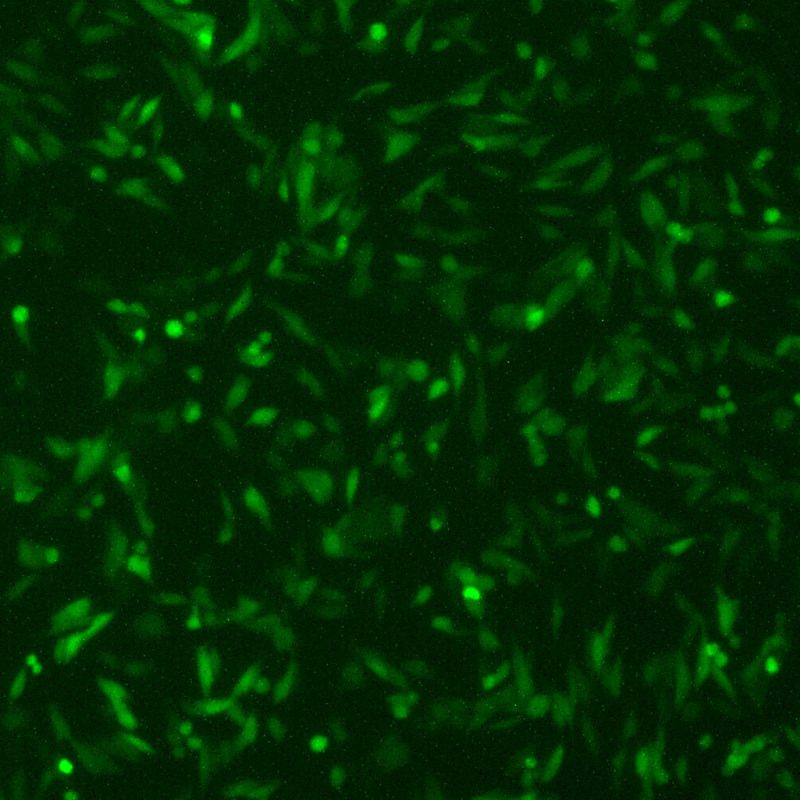 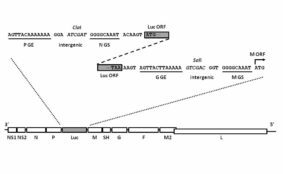 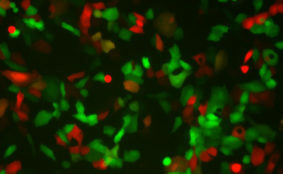 In cell cultures, RSV-GFP1 was found to replicate to near-parental titers and to produce syncytia at a rate similar to that of the parental virus. 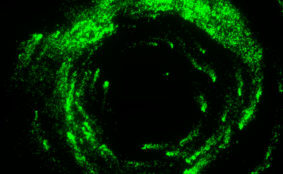 Using this virus, the main target cell type for RSV was found to be the ciliated epithelial cells in human airways (Fig.). 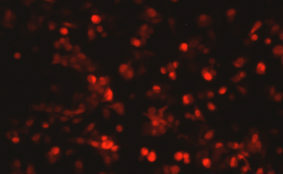 Construction: GFP gene was inserted in front of NS1 gene (as the first gene).